The purpose of this study is to evaluate the potential advantages and opportunities associated with the relocation of the AC&W Railroad in the historic North Davidson (NoDa) neighborhood of Charlotte. 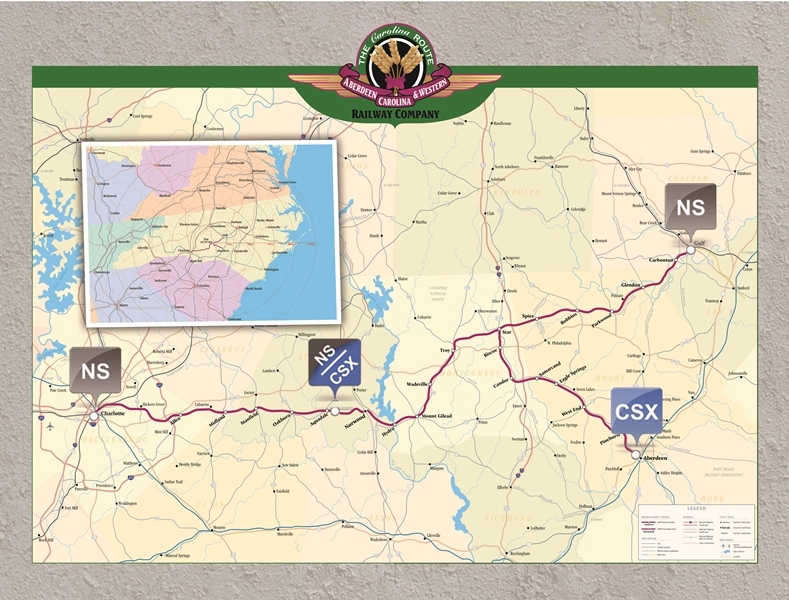 This railroad runs in close proximity to the North Carolina Railroad (NCRR)/Norfolk Southern (NS) mainline line railway, and currently causes several operational complications and noise impacts within the area around these railroads. The Study Area is within a geography roughly bounded by the NCRR/NS mainline, East Sugar Creek Road, The Plaza, and Matheson Avenue. What is the AC&W Railroad? NoDa, which has become an increasingly popular destination over the past decade, continues to experience growth and development. In anticipation of further development, and in coordination with other projects underway in the area, the City recently completed a railroad relocation study to determine the potential benefits and/or consequences of realigning the AC&W Railroad. The existing track utilized by the AC&W Railroad passes through many established neighborhoods and within close proximity to the businesses in the heart of NoDa, leading to disruptions caused by at-grade crossings within this part of the City. The current alignment and entrance into Norfolk Southern's Charlotte Yard also contributes to operational inefficiencies. The City's intent for this study was to document a preferred relocation alignment and identify recommendations associated with the realignment that will improve vehicular, bicycle, and pedestrian connectivity, along with potential land use options that will continue to encourage economic development. The City reached out to the rail companies (NCRR, NS, and AC&W) that own and operate the potentially impacted rail lines. Additionally, property owners in the area bounded by the NCRR/NS mainline, Sugar Creek Road, the AC&W Railroad and Anderson Street were contacted regarding the Study. In addition, a meeting was held with the NoDa Neighborhood Association Executive Board. The AC&W Railroad Relocation Study final report was completed in winter 2016 (attached above). Outreach activities and the development of recommendations occurred throughout the summer 2015. The report is an intermediary step between initial assessment and identification of a relocation alternative (conducted by NCDOT in 2010). Next steps necessary to implement the recommendations are outlined in the report. Currently, no funding is identified for the next phase of this project.